There are 7861 listings today! Welcome to the Grand Realty Inc. website. Our Lewiston and Clarkston real estate website is easy to navigate and makes finding the Idaho home or property of your dreams simple. You may begin your Lewiston Idaho real estate or Clarkston Washington real estate Property Search by clicking here. We have years of experience in our real estate office and specialize in purchasing and selling homes, relocation services, 1031 exchanges, foreclosures, horse property, commercial property, and open land to name a few. The Lewiston and Clarkston Real Estate market is constantly changing, and you need a company that will change with it. We offer competitive listing agreements and creative marketing. For your convenience, we can send you ALL the new listings daily as they are added from our Lewiston Idaho and Clarkston Washington multiple listing service better known as the MLS. By entering your email address and specific information regarding what you are looking for in a new home here in the Lewiston area into our Dream Home Program and we can begin sending EVERY newly listed home in your specific price range and/or requested area directly to you. When you see a home that meets your families needs and are interested in viewing it, just contact one of our REALTORS either by phone or email. Our real estate agents are available seven days a week and are always happy to help you make the next purchase or sale of your home a positive experience. Additionally, our agents are held to a higher standard of service and are accountable to you directly by a rating service through NAR nationally. This rating service is referred to as "Premier Service," is a rating that YOU, the customer, gives at the end of every transaction. There are NO other national companies that can make that claim. We have a 100% satisfaction rating! We are here to help you with ALL your Real Estate needs, to answer any questions you may have, and to give you the advice you need to purchase or sell your next piece of property. We want to make your next purchase an easy one! If you would like to talk to agents who genuinely care about your needs, please do not hesitate to call or email us. The Lewis-Clark Valley is located on the border between Idaho and Washington. Separated by the Snake and Columbia Rivers makes this an outdoorsmans paradise. Offering a variety of recreational activities such as fishing, hunting, white water rafting, swimming, water skiiing, boating, golfing, skiing, snowboarding, and snowmobiling at your finger tips, this vibrant community is the perfect place to live, raise a family, and experience life. Surrounded by the beauty of the Blue Mountains and the waters of the Columbia and Snake Rivers, you have unlimited outdoor resources to have fun in. The affordable cost of living, variety of cultural events, mild winters, warm summers, and access to medical services make the Lewis-Clark Valley a great place to raise a family or retire. We have a full service airport located near Bryden Canyon called the "Lewiston Airport" where Alaska/Horizon Air and Delta Air both operate daily flight schedules. We are a short two hour drive from Spokane, Washington and only two and a half hours from Coeur dAlene, Idaho and McCall, Idaho. Additionally, we are located only six hours from Seattle, Washington, Portland, Oregon and Boise, Idaho. Washington State University is a mere forty-five minutes away from the valley in Pullman, Washington. Close by is the University Of Idaho, which is located in Moscow, Idaho. A little apprehensive about the home selling process? Let Grand Realty Inc. put your concerns to rest, our real estate professionals have years of market experience here in the Lewiston, Clarkston Valley. If you want to know more about financing, pricing, preparing your home for sale contact Lewis Clark Advantage Realty for an In-home presentation. This presentation includes a CMA (Comparative Market Analysis) and will answers any questions you may have about selling your home. Preparing your home for sale. We will provide tips on how to make your home more marketable and ready for sale, showing your home and everything that you can expect from Lewis Clark Advantage Realty even before you put your home on the market. Provide you with a written Comparative Market Analysis. Provide you with tips on putting your home in "show condition". Some improvements are worth it, and some are not! Be careful. 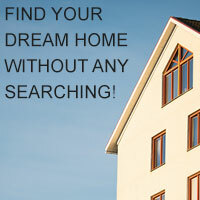 Give you market information that will assist you in finding the best price at which to market your home. Answer your questions about the process of marketing a home in this area. Provide you with a "Sellers Cost Sheet" based on the CMA value. While your home is on the market, we will keep you informed on market conditions. Advertise in the most effective media. Provide meaningful information to buyers. Make sure agents are informed about the property. Provide a flier box at your home for drive-by buyers, as well as a flier Grand Realty Inc. office. Notify all the buyers that we are working with about your home, as well as REALTORS® in this area that we work with, who quickly tell their homebuyers. As top Lewiston-Clarkston area Realtors, Grand Realty specializes in finding homes for people and has knowledge and connections not available to the average person looking for a home. We are aware of every local home or property on the market, and know of properties that will be available, but have yet to formally be placed on the market. We also have direct access to the local area MLS (Multiple Listings Service) and to every available property in our area. When you let us know what you are looking for, we will review all of our sources of real estate listing information and send you everything within your price range that matches your criteria.